Advanced SafetyTec Group, Heated Steering Wheel, DVD, Adaptive Cruise, Loaded! New 2019 Chrysler Pacifica Touring L Plus. The color is Ocean Blue Metallic. The interior is Black/Alloy. 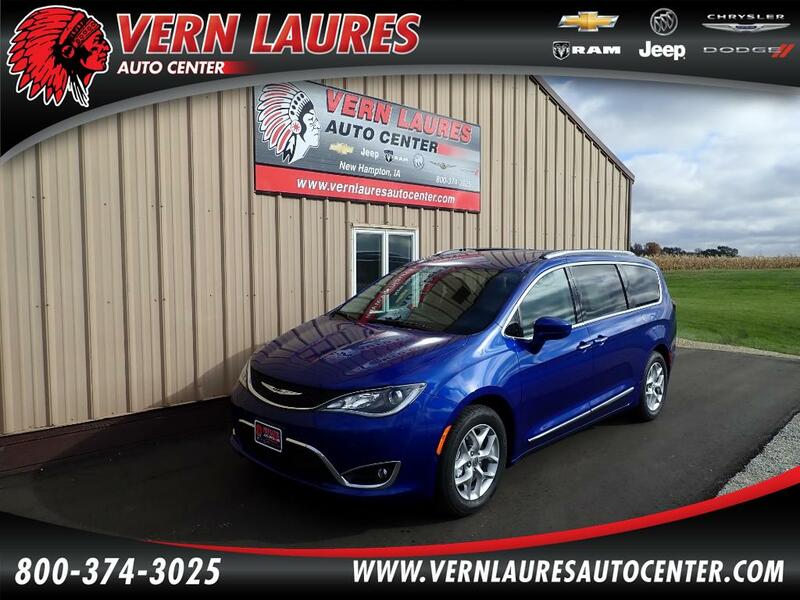 This Pacifica is equipped with Blu-ray/DVD, Heated Leather, Heated Steering Wheel, 18" Wheels, Advanced Safety Tec Group, Adaptive Cruise Control, Parallel & Perpendicular Park Assist, and a 360 Degree Surround View Camera. The Color Looks great and its ready to go. Call today to Schedule your test drive!